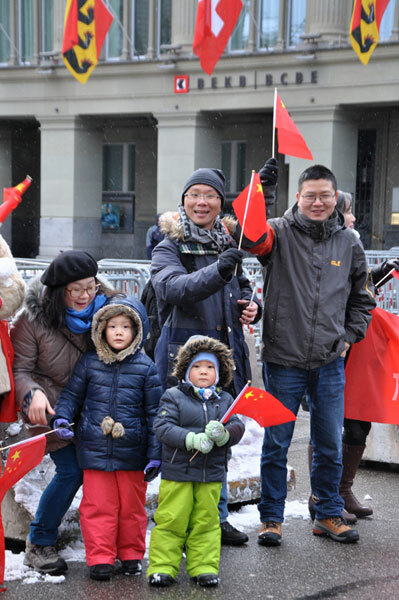 Chinese President Xi Jinping's arrival in Switzerland has seen members of the Chinese in Bern gather in front of the Swiss parliament building on Sunday to help greet the Chinese leader. Numerous Chinese students, teachers and business owners took time to travel from other cities in Switzerland in the early morning on Sunday to witness the historic visit -- the first to the Alpine country by a Chinese president in the 21st century. Li Zhengxin is one of those who travelled from the University of Fribourg to see the Chinese President. "Historically, China and Switzerland have always enjoyed good friendship. And now it is the first state visit by a Chinese president in this century. So we feel very honored to be here to witness the historic moment." Overseas Chinese business owners at the event say they expect the President's visit will not only create bilateral business deals, but more commercial exchanges between the two countries. Tang Yu Lap is the head of the Chinese Chamber of Commerce in Switzerland. 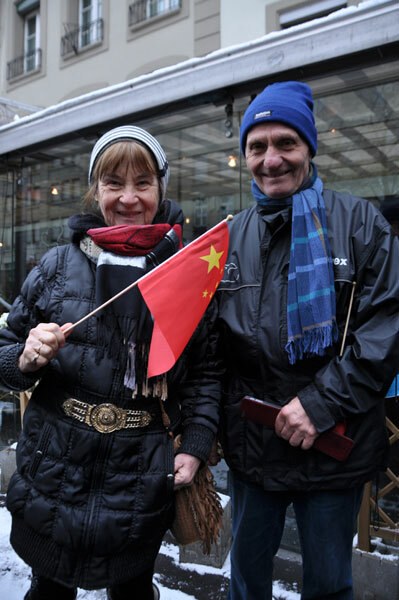 "We want to express our warm welcome to President Xi on his visit to Switzerland. I believe that President Xi will surely help enhance the commercial cooperation and exchanges between the peoples of the two countries. 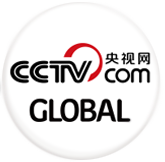 It will also boost the bilateral cooperation in trade and many other areas." Wang Xia, a Chinese music teacher in Switzerland, says there is an expectation Xi Jinping's trip will also create more cultural exchanges between the two countries. "I am closely watching over the possibility of setting up a Chinese culture center in Bern during President Xi's visit. I believe that it will be a good platform for us to make some contributions to the cultural exchanges between China and Switzerland. I would like to say that the president's visit will surely bring about new opportunities for us." 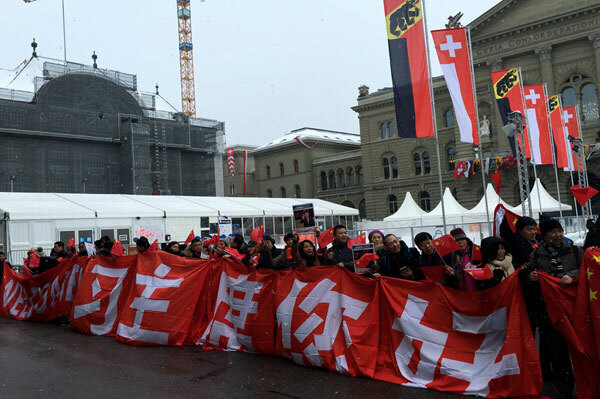 Also scattered among the crowd in Bern on Sunday were non-Chinese people from Switzerland, who were just curious to see a major world-leader in-person. "I know we have a free trade agreement. And we hope to have other more economic and political agreements. " "It's a great honor that Chinese president comes to Switzerland. And it's interesting that China and Switzerland have such a long relationship. I once visited China. It's a very interesting country. I think China and Switzerland can profit a lot from each other. " President Xi Jinping has a full agenda as part of his time in Switzerland, which will include talks with Swiss leaders. A series of bilateral agreements connected to politics, economics and culture are expected to be signed as part of those meetings.